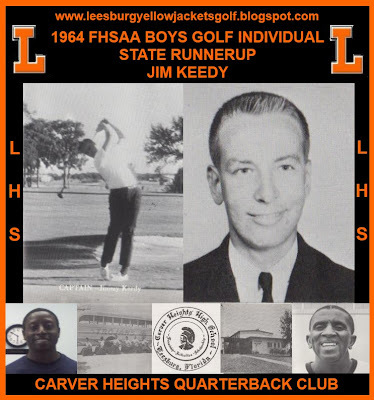 The Number One Source For Leesburg Yellow Jackets Golf News. This site is being sponsored by the Carver Heights Quarterback Club. 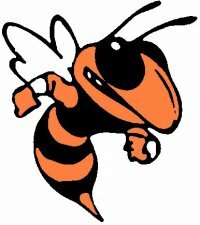 TAVARES - The Yellow Jackets continued their winning ways in 2002 with a 178-192 win over Tavares High School in Tavares. The Jackets are having a great season and with the win their record now stands at 8-1. Zach Tucker's (41) led Leesburg to the win. Leesburg also got a strong performance form Jordan Holmes (42) and Michael Johnson (43). Tavares was led by Nick Ashby and Mike Mueller's (44) in the loss. 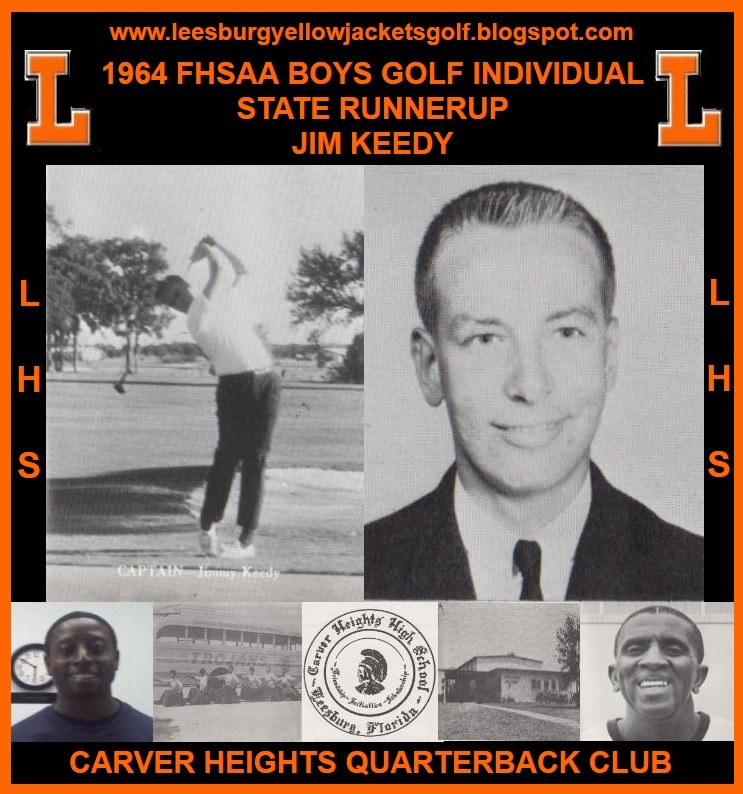 Leesburg hosts South Sumter Thursday at 3:30 p.m. at Silver Lake Country Club. EUSTIS - The Boys Golf team at Leesburg High School is having one of it's finest seasons ever as it remained unbeating after a strong performance against county rivals Eustis and Umatilla. The Jackets defeated Eustis and Umatilla 159-172-178 Tuesday at a wet Pine Meadows Country Club in Eustis. The Jackets overcame sloppy conditions to run their record to 5-0 on the year. 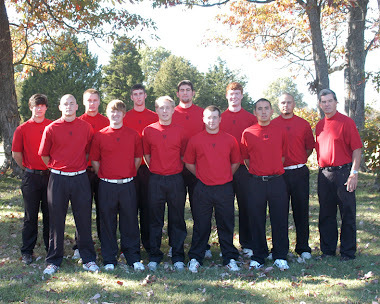 The Yellow Jackets were led by Sean Green (40), Zach Tucker (40) and Jordan Holmes (41). Eustis was led by Scott Wilhelm (39), while Umatilla was lead by Ted Payton, Josh Machamer and Corey Tarbyi who all scored 48. 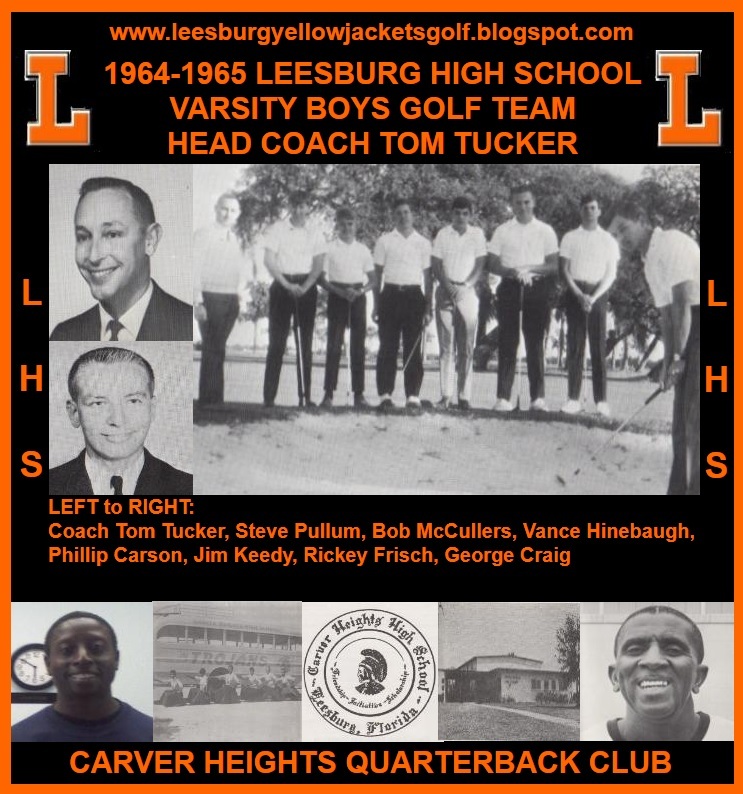 The Jackets will try to remain unbeaten and will host Tavares and Belleview on Thursday at Silver Lake Country Club. 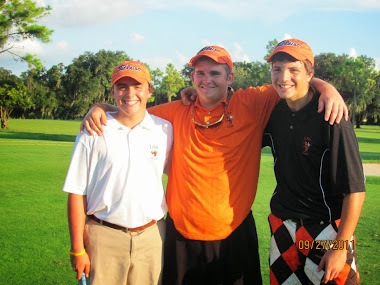 Tee Time is set for 3:30 p.m.
LEESBURG -- Jay Cook lost the individual battle again to Travis Owens, but this time Cook had the smile on his face when the day ended because he and his Leesburg teammates claimed a victory over Mount Dora Bible on Thursday in the dual match at Silver Lake County Club. The Yellow Jackets closed with a score of 156 to easily win over the Bulldogs' 167 total. Victory was sweet for Leesburg Coach Jim Jarrett. "We really wanted this one,'' Jarrett said. "We have beaten every other team on our schedule. Cook had medalist honors in his grasp on Thursday, but a double bogey six left him with a 3-over-par 38, one shot more than Owens. In an earlier duel at Black Bear Golf Club, Owens carded 34 and Cook 36. But Mount Dora Bible (8-6) won that match. Cook was one over par heading to the ninth hole because of a nifty chip in birdie on the par-3 fifth hole. But he narrowly missed a few birdie putts on other holes. Owens said he has not been playing well of late and much of it has to do with his putting. He 3-putted the fourth hole for one of his two bogeys and missed a par putt on the eighth hole. 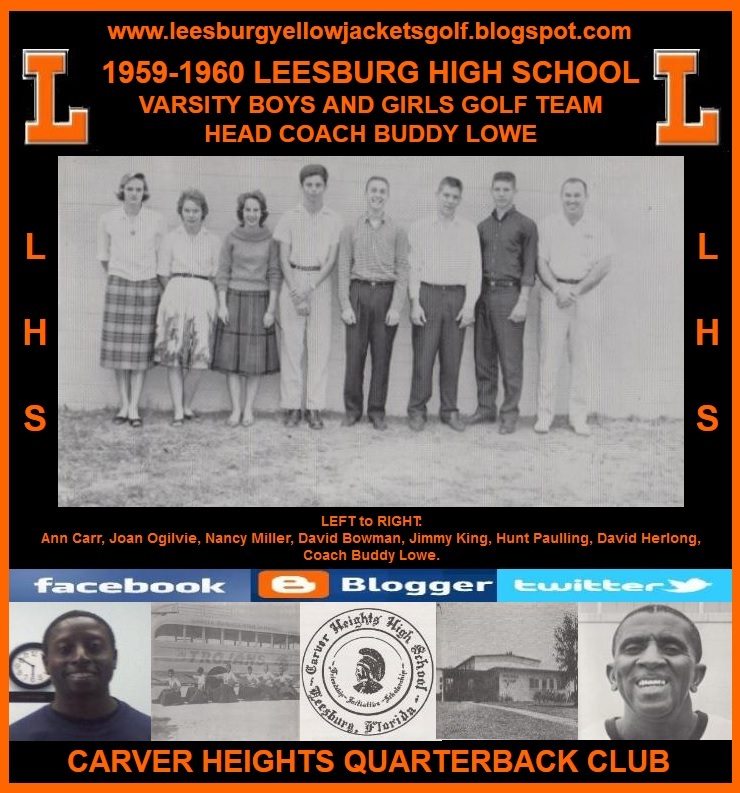 Leesburg (11-4) got another solid performance from an ever-improving Sean Green, a sophomore who carded 39. "My iron play has been the difference for me,'' Green said. "For a while I was hitting my irons everywhere. On the sixth hole, Green stuck a 5-iron from 176 yards with two feet of the hole and made birdie. Green said he still has to work on his chipping. Even so, he chipped to within a foot on the seventh hole to save par. Jordan Holmes also added 39 for Leesburg and George Singletary shot 40. Kyle Mitchell's 42 was second to Owens' 37. Mitchell was cruising early on. He punched a low shot on the fourth hole to within six feet and made birdie and made a sand save on the par-3 fifth hole. But then his luck ran out with a double bogey on both six and eight. The teams head to district tournament play on Monday, with Mount Dora Bible hosting its tournament at Black Bear Golf Club and Leesburg going to Hunter's Creek in Orlando. LEESBURG -- Closing out its regular season on a high note, Leesburg's boys golf team turned away Mount Dora 159-160 Tuesday at Silver Lake Country Club in the final for both teams. With the victory, Leesburg (6-9) won six of its final eight matches, coming on strong after a 0-7 start. Jordan Holmes and Sean Green carded 38s for the Yellow Jackets and were backed up with a 39 from Adam Wagner. The Hurricanes (9-6) did not get a peak performance from their top player as Mike Vedder started with a triple-bogey 7 on the first hole and closed at 41, nearly four shots higher than his season average. "I am really proud of these young men,'' Leesburg Coach David Dawkins said. "They have really come on strong since our 0-7 start. The Yellow Jackets are getting top performances from different players. In a 163-166 win over Tavares on Monday at Deer Island, Zack Tucker shot 37 and Green 39. Green said he has been doing a better job of course management and that has been crucial to his play. to use twitter to grow your online business. Green was three 3-over after the first four holes, then came in with five straight pars. Included was a nifty 2-putt par on the ninth hole, where his first putt came from some 40 feet. Wagner made four straight pars. They included one on the 170-yard fifth hole, where his tee shot hit high up a pine tree and stayed in bounds. His bunker shot came up well short, but he made the putt from off the green. A major sigh of relief followed. On the par-4 third hole, which plays some 371 yards, Wagner had but 90 yards to the hole, cutting the corner on the dogleg left with a booming tee shot. Wagner said his short game was not where it usually is, or his score could have been much better. On the finishing hole, a second shot from 95 yards came up short and his par putt lipped out. Mount Dora freshman Michael Jolliff, who led the Hurricanes with 38, had his short game working to perfection.